EagleVail’s Mikaela Shiffrin on Saturday won yet another World Cup slalom – this time by a margin of more than three-quarters of a second – and in the process set a new record for the most wins (13) by an American ski racer in a single season. With two more regular-season slaloms and two more regular season giant slaloms still on the schedule, Shiffrin now just needs one more victory to tie the all-time single-season victory record of 14 set by Switzerland’s Vreni Schneider during the 1988-89 season. That season saw Schneider win three medals 30 years ago at the 1989 World Alpine Ski Championships in Vail. Shiffrin’s dominant win in Saturday’s slalom at Maribor, Slovenia, coming just a day after tying for the win in the GS, vaults her ahead of Schneider for solo third on the all-time women’s victory list with 56 career wins at the age of 23. Shiffrin now trails only Austria’s Annemarie Moser-Proell (62 wins) and Vail’s Lindsey Vonn (82), who is retiring after next week’s World Alpine Ski Championships in Are, Sweden. Shiffrin is also a virtual lock to claim her third straight overall World Cup title, which would match American Phil Mahre and trails only Vonn’s four career overall titles among Americans. “I am really proud of this whole season. My team has done a great job. And here we are. It’s hard to put it into words,” Shiffrin said Saturday, according to the Associated Press. 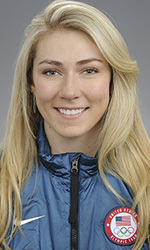 Shiffrin led the first run by a full second over rival Petra Vlhova of Slovakia, who tied Shiffrin for the GS win on Friday. After the second run, Shiffrin wound up beating Anna Swenn Larsson of Sweden by .77 seconds. Wendy Holdener of Switzerland was 1.15 back in third place, and Vlhova wound up fifth, 1.7 seconds behind Shiffrin.